In a community which still very much feels the sorrow of a tragedy from seventy years ago, word soon spreads throughout London and the rest of the country about the ‘Miracle of Bethnal Green’ and Will’s quiet and ordered life is turned upside down as he tries to protect the strange and unsettling child from the vultures of the press. But is Beth Green all that she seems? I was reading an article about the terrible tragedy at Bethnal Green and the subsequent hush order from the government and was compelled to build a work of fiction around it. 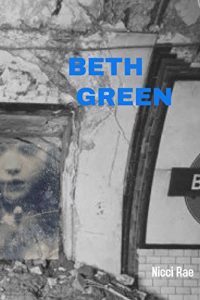 As the pivotal place in the novel is Bethnal Green, it was natural that my main character would be a Platform Assistant at that station and I built his character on the assumption that he had been born and raised in the area.